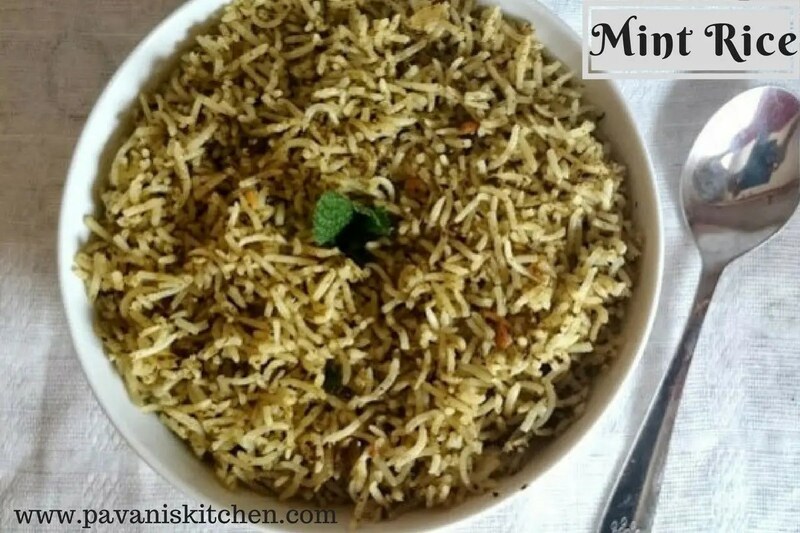 Today I came with simple and delicious rice that is Mint rice/pudina rice.It is very easy to prepare and when you cook this rice, the whole house will be filled with mint aroma.Here goes the recipe. 1.Cook rice till each grain is separate.Spread the rice over a broad plate to cool. 2.Heat a tsp.of oil and fry green chilies and mint leaves till the leaves shrink.Grind it along with coconut, tamarind, and salt. 3.Heat rest of the oil, fry the seasonings and then with finely cut onions till it becomes crisp.Add ground masala paste and fry few minutes till good smell comes from it. 4.Reduce the flame and add cooked rice.Mix gently till rice becomes hot and then serve with papad. 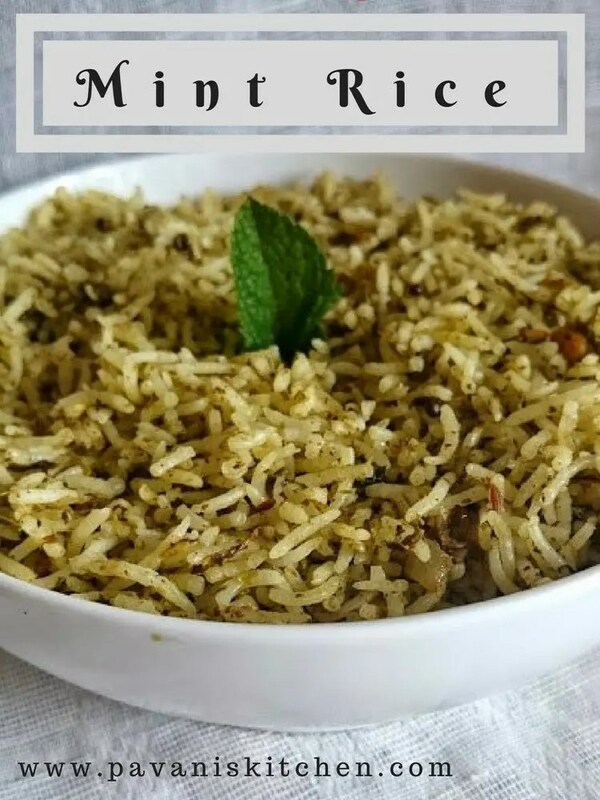 Cook rice till each grain is separate.Spread the rice over a broad plate to cool. Heat a tsp.of oil and fry green chilies and mint leaves till the leaves shrink.Grind it along with coconut, tamarind, and salt. Heat rest of the oil, fry the seasonings and then with finely cut onions till it becomes crisp.Add ground masala paste and fry few minutes till good smell comes from it. Reduce the flame and add cooked rice.Mix gently till rice becomes hot and then serve with papad. looks sooo tempting n delicious…. thank you Divya for your lovely comment. Thank you kitchen queen for visting my blog. I just love rice, pudina rice never taste till now. But I would like to makes it as soon as possible. Anyway thanks for the recipe its gonna help me to have some good taste. Thank you so much for visiting my site and giving your valuable comments.